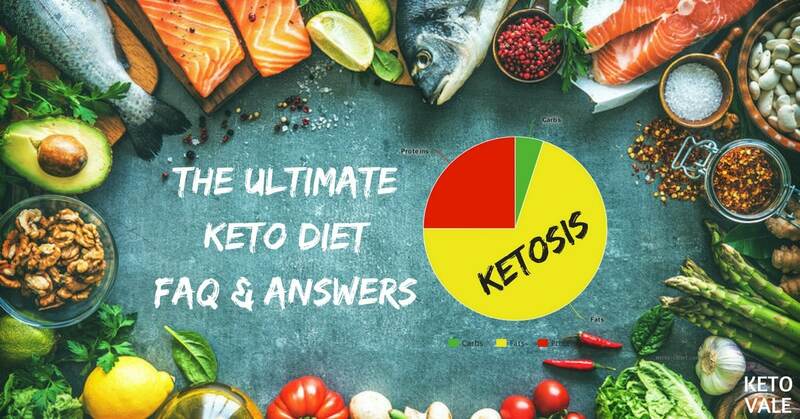 Keto diet or ketosis topic in general are getting so popular and if you're new to the keto world, you'll have many questions. In this guide, we have put together a list of the most frequently asked questions about keto and answered them for you. Let's get started! What ​Do I ​Eat on ​The ​Keto ​Diet? ​What Should I Avoid on the Keto Diet? ​Can I Drink Alcohol on Keto? ​Do I Need to Track Calories and Macros on The Keto Diet? ​How Much Protein Should I Eat? ​How Much Fat Should I Eat? ​Is Keto Effective For Weight Loss? Why? Is Keto The Same Thing as Low-Carb? ​Is Ketosis Safe and Healthy? Aren’t Carbs Necessary For the Functioning of Your Body? ​Isn’t All This Fat Unhealthy? I’m ​Vegan / ​Vegetarian. Can I ​Still ​Do ​Keto? ​What Are The Health Benefits of Keto Diet? I ​Started ​Doing ​Keto a ​Few ​Days ​Ago. Why ​Am I ​Suddenly ​Feeling ​So ​Weak and ​Tired? ​How Long Does It Take To Get Into Ketosis? How Do I Know If I’m In Ketosis? Do I Need To Measure Ketones? How Long Does the Fat-adaptation Take? ​Are ​Cheat ​Meals ​Allowed on ​Keto ​Diet? ​Do I Need To Exercise on Keto? ​Will I Lose Muscle Mass On Keto? Can I Build More Muscle On Keto? ​Will My Athletic Performance Suffer If I Start Keto? Do I ​Need ​Any ​Supplements ​For ​Keto? ​I’m Craving Carbs / Sweets, What Should I Do? ​I’m In Ketosis But Not Losing Weight. What Should I Do? ​Can I Do Keto Long Term? ​Do I Need Exogenous Ketones? ​If I Stop Doing Keto, Will I Gain All The Weight Back? ​What Else Can I Do To Improve My Health, Together With Keto? ​How To Start A Ketogenic Diet? The ketogenic diet is a way of eating, in which you drastically limit carbs to 20 to 25 g net carbs per day while eating sufficient protein and fat. This will soon put your body in ketosis, i.e. you will burn fat for energy instead of relying on glucose. 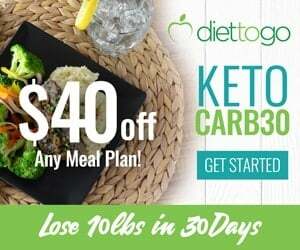 The keto diet has a number of health benefits and is one of the best weight loss diets out there – it is simple, sustainable and enjoyable, while at the same time allowing you to stay at a caloric deficit without feeling constantly hungry. Of course, many people do keto for other reasons than for weight loss, such as increased energy, improved blood sugar control, type 2 diabetes management, and more. different types of fat, such as butter, ghee, olive oil, avocado oil, etc. some fruits, such as avocados and berries. For more details, check our complete ketogenic diet food list! While this might seem rather restrictive, think about all the awesome food you can have. A big part of what you’re limiting is empty calories, and all the food that you’ll be eating will be extremely nutritious, healthy and filling. ​Can I Eat Dairy and Nuts on Keto? Yes, if your body tolerates them well. The problem with nuts and dairy is that they are trigger foods for many people, and not everyone measures and tracks them correctly, which can lead to weight loss stalls. Additionally, some people don’t digest them so well, which can even cause inflammation and water retention. If you are currently struggling with a stall in weight loss, try limiting nuts and dairy for a couple of weeks to see if that helps. After that, you can introduce them slowly to see how your body responds. Yes. High-carb drinks are a no-no (such as cocktails, sweet wines, and most beers, for example), but as long as you stick to pure liquor or dry wines, you can definitely enjoy a glass or two. Many people notice they get drunk much quicker on keto, so keep that in mind, and go slow. Moreover, alcohol has calories and your body needs to burn it before everything else, so make sure to track it, if your goal is weight loss. ​For more details, check our Keto Alcohol Guide! Yes, especially in the beginning, until you get used to it. The problem with carbs is that they’re everywhere, and that even small quantities quickly add up. The best way to make sure you’re staying under 20-25 g net carbs per day is to measure and track everything that you’re eating. For this, you should buy a food scale and use a tracking app where you log what you’re eating using a keto diet app. As for calories, in order to lose weight, you need to create a caloric deficit, so you should figure out what your maintenance calories are, and then subtract 15% to 25% from that number, to get your caloric goal. Bigger deficits will likely lead to a more rapid weight loss but are less sustainable and more difficult to maintain. With a smaller deficit, you’ll probably lose weight at a slower rate, but it will be less stressful for your body (and mind). Many people decide to do what is commonly referred to as “lazy keto” once they reach their goal weight, i.e. eat keto foods without necessarily tracking them, or tracking every once in a while to see where they’re standing in terms of macros & calories. 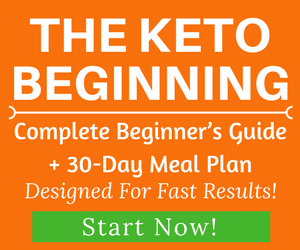 This is recommended only if you’ve reached your goal weight and already have lots of experience with keto. ​You should eat sufficient protein in order to preserve your muscle mass. The exact amount will, therefore, depend on your lean body mass, your activity level, your goals and your personal preferences. The general consensus is that you should aim for 0.68 to 1 g of protein per pound of lean body mass (LBM). If you weigh 180 pounds and are at 35% body fat, your LBM is 117 pounds (180 – 35%). For more information on the topic, check out our article on protein intake. Fat is a lever and you should complete your daily caloric needs with it. To put it in a simple way, it will replace the carbs you’ll no longer be eating and will help you feel full. If your goal is weight loss, you don’t need copious amounts of fat, as some of it should come from your own body stores. Let’s say you need to eat 1600 calories to lose weight, and that you’re consuming 25 g net carbs and 117 g protein. Each gram of carbs and protein has 4 calories, while each gram of fat has 9. This means that you’ll be consuming (25+117) x 4 = 142 x 4 = 568 calories from carbs and protein, and 1032 calories from fat, or 114 g fat. If you’re not hungry, you don’t need to meet your fat macro, however, it’s best if you aim to meet your protein macro consistently. ​Yes, keto is one of the most effective diets for weight loss out there. The reason is that it allows you to maintain a caloric deficit without extreme hunger while giving you a better access to your fat stores. Additionally, many people notice an increase in energy on keto, which helps them move more and remain active through the day. Keto is a type of a low-carb diet. Low-carb is a vaguely defined term that applies to any diet where carbs are limited, and keto is one of the stricter types of low-carb. Low-carb can mean anything from 20-25 g net carbs per day (strict keto) to 100-120ish net carbs per day. For more information on that, check out our article ​low-carb diet ​vs keto diet. Yes. The keto diet is absolutely safe for the general population (in fact, it is much safer than the standard American diet), and has numerous health benefits. It can be used to manage different types of diseases and conditions, such as epilepsy (its original use), PCOS, type 2 diabetes, insulin resistance, metabolic syndrome, and more. With that being said, if you have a specific health concern that makes you think you won’t do so well on keto, your best bet is to speak to a healthcare practitioner. Beware that many doctors are not well-aware of what keto is and how it works, so you should try to find someone in your area who has some experience with keto and low-carb, or at least is open to them. No. Protein is essential, as well as fats. Carbs aren’t. your body can produce the necessary glucose via a process called gluconeogenesis (GNG). That’s why the human body can even handle a zero-carb type of diet. In short, no. You’ll likely be consuming more fat than before, however fat as such should not be feared, and saturated fat actually has its place in a heart-healthy diet. You should avoid fats that are highly processed, such as canola oil or soybean oil, as well as trans-fats. If you stick to the fat from meat and eggs, as well as to other types of healthy fats, such as avocado oil, coconut oil, and olive oil, you have nothing to be afraid of. As for cholesterol, the link between dietary cholesterol and cholesterol in your blood has long been disproven – most of the cholesterol in your body is actually produced by it, and not absorbed from food. ​Definitely. While one of the main staples of the keto diet is meat, there are plenty of alternatives that you could use to make it work for you if you’re vegan or vegetarian. and more! Pretty impressive, right? For more, read these studies! You’re having the keto flu. This isn’t unusual, especially if this is your first time doing keto, and it will pass in a couple of days. Your body is adapting to using fat for fuel instead of carbs, which is a huge change, so you should just give it time, make sure you’re staying hydrated, and that your electrolytes are in check​. The keto flu is the first part of a longer process commonly referred to as “fat adaptation”, in which your body switches gears and becomes fully efficient in using fat as its primary fuel source. The keto flu, however, usually lasts much less, around 2-3 days to a week. ​It usually takes anywhere between 2-4 days to get into ketosis, depending on your activities level and metabolism. a sweet or metallic taste in your mouth or a fruity keto breath. 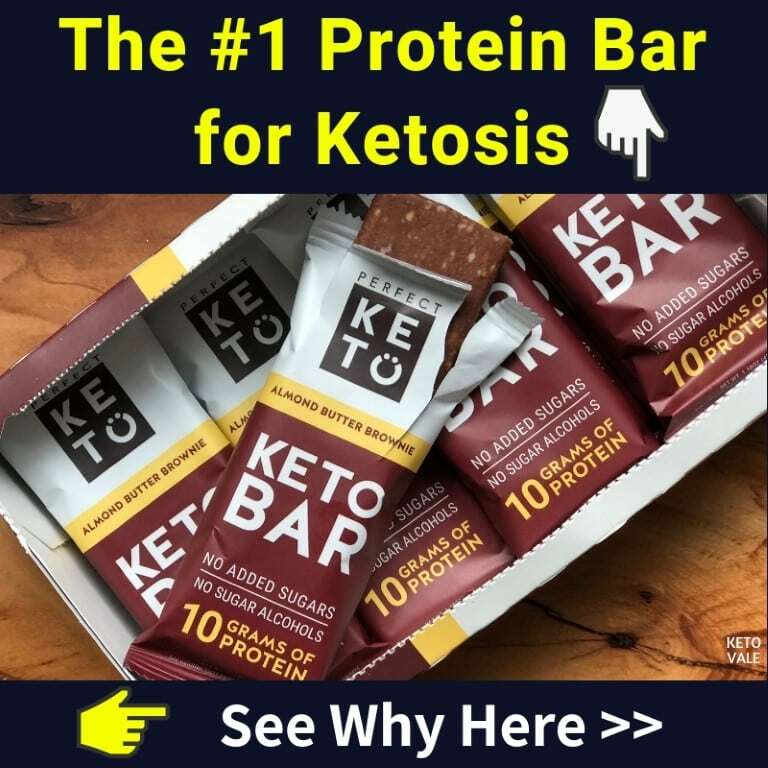 If you want to know with certainty whether you are in ketosis or not, check th​ese 3 Common Ways to Measure Ketone Levels. ​How Long Does It Take to Become Fat Adapted? 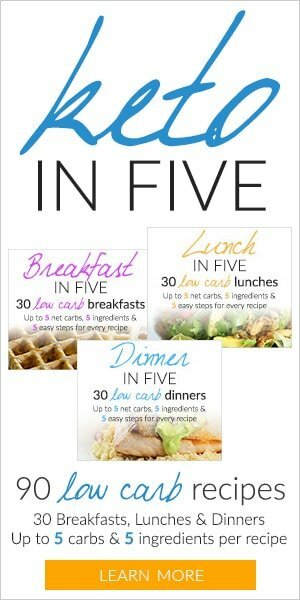 It can take between ​4 to 6 weeks or more of ​being in ketosis. ​Cheating is generally a very bad idea. It will kick you out of ketosis and affect your fat adaptation process. It will provoke carb cravings and might cause weight gain after eating cheat meals. We're humans and we all make mistake. If this happens to you, forgive yourself and move on. Simply start eating keto again right after the cheat meal. ​If you’re eating sufficient protein, you will not be losing muscle mass – in fact, keto is muscle sparing. Additionally, you can also gain muscle (given that you’re doing some kind of resistance training and eating enough). Keep in mind that losing weight and building muscle at the same time is difficult, although certainly possible, especially for people who are new to working out. ​In the beginning, it might, yes. During the adaptation phase, many people experience a decrease in performance, be it in their endurance, strength or explosive force. This will disappear with time, given that you give your body enough time to adapt and that you’re supplementing the necessary electrolytes (they’re essential for everyone, but even more so for highly active people). You need to supplement electrolytes, such as magnesium and sodium. You also need to make sure you’re getting enough potassium from your food. Apart from that, many people decide to supplement with MCT oil or powder, creatine, fish oil, and more. These supplements aren’t essential by any means, but some of them might be beneficial for you. This is completely normal and many people go through a period where they crave carbs. This will go away with time, so the most important thing is just to be patient. make yourself a keto dessert. Weight loss is not linear – the scale will sometimes go up, or won’t budge for days or weeks. You might even be gaining a few pounds during menstrual cycle and it's completely normal. The most important thing is to keep an eye on the general tendency and to be consistent. ​Yes, and many people do that. If you feel best on keto, just stick to it. ​Short answer, no. 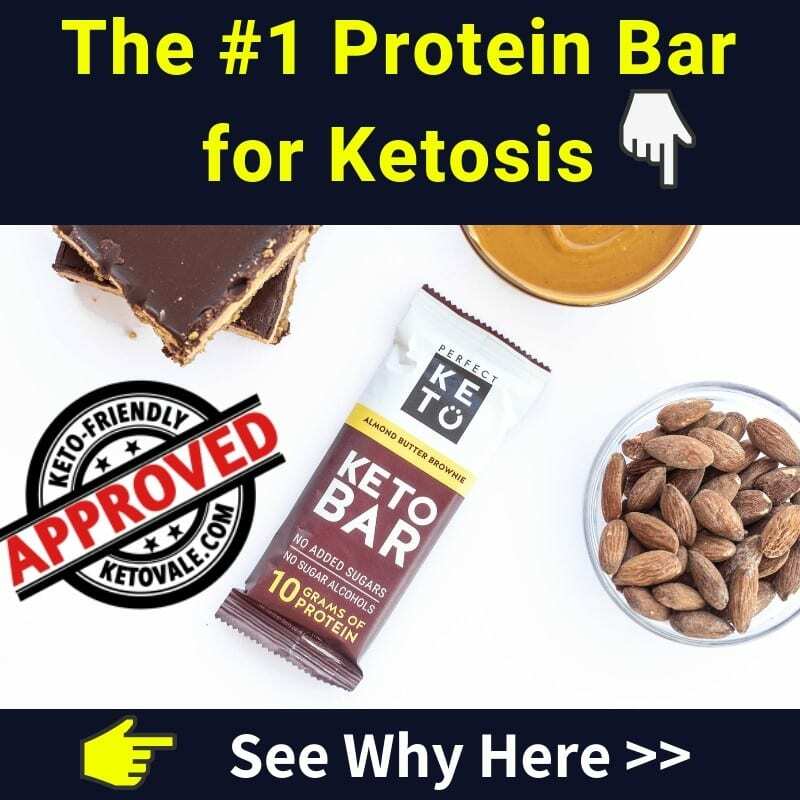 Exogenous ketones do have some benefits but they are not required on keto. For a full detailed explanation, check our Exogenous Ketones Guide. No, given that you don’t go back to the unhealthy habits that made you gain the weight in the first place. You should not see keto as some sort of quick fix, or a diet that you do for 2-3 months and then forget about it. Even if you decide to adapt a more liberal approach to carbs once you reach your goal weight, you should make sure that you’re able to stick to eating healthy and to not overeating on a regular basis. In order to keep the weight off, you need to make sure you have actually changed your lifestyle and not just “gone on a diet” to then go back to eating junk food. If you decide to reintroduce carbs after reaching your goal weight, we recommend doing it slowly and keeping an eye on how your body reacts to them; there are plenty of other good solutions that are less restrictive, such as low-carb, paleo, primal, and more. If you decide to no longer do keto, you’ll gain some water weight back (usually between 5 to 10 pounds) – this isn’t fat and you have nothing to be afraid of. If you want to keep the fat away, though, you need to be reasonable and keep your calories in check. Exercise: resistance training, cardio, high-intensity interval training (HIIT), or a combination of those. Find a sport that you like and that you could stick to in the long run. Exercise should be fun and not feel like a chore, and consistency is key. Be active in your day-to-day life: walk more, find a hobby that has a physical element to it, take the stairs instead of the elevator,… There are plenty of ways to sneak in some physical activity into your life. Make sure you’re sleeping enough and getting enough rest: exercise and diet are very important, but if you’re not sleeping enough, your results will suffer. As for rest, if you’re very physically active, make sure your body is getting enough time to recover. Hitting the gym every day of the week might lead to exhaustion and trauma. Get at least 1 or 2 rest days per week. Intermittent fasting (IF): IF is an excellent strategy for weight loss and for improving your general health. For more information on how to fast, check out our article on how to do intermittent fasting on keto. Step #1: Follow ​a keto macros calculator​ to find out your PERSONAL MACROS - ie: how much carbs, fat, and protein (in grams) and how many calories you should eat to achieve your specific goal. Step #3: Structure and plan your daily meals, ie: breakfast, lunch, dinner and snacks (if needed) to meet your macros. There are many keto recipes​ on our website. You can also use this keto meal plan to get started. ​Recommended: Use ​a keto diet app to track your foods/macros​. Success tip: Educate yourself - read books, articles, listen to keto podcasts and research to learn more about keto and nutrition and how certain foods affect our bodies. Do you have any other questions about keto that you didn’t find here? Would you like to add something? Let us know in the comments below!